Despite its fancy name the Ü.I.K. is really quite simple: it is a fully passive transformer interface for the connection of a ProTools 192 with the unbalanced line inputs of a Neotek Series II mixer. 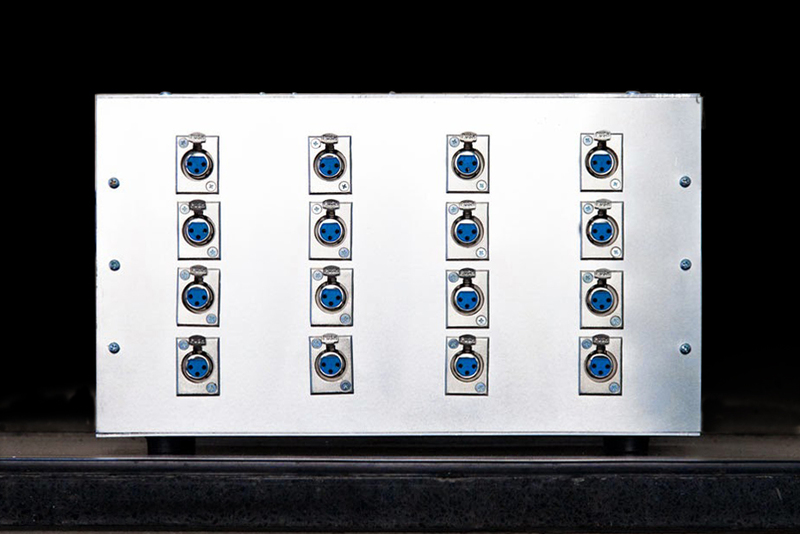 When connecting the 192’s electronically balanced outputs to the mixer, Simon experienced a large amount of noise and crosstalk between the channels. We could have simply followed the original Digidesign suggestion of lifting the pin 3 connection from the output of the 192 but this would decrease output and headroom. Instead, the logical solution was to build a box to hold 16 Edcor 1:1 transformers.